Is Forex Trading Legit or It Is Scam? Forex trading per se is not a scam. But there are many scams associated with forex. As the forex market is opening up gradually, scams are also increasing. Perhaps that is the reason why you hear many questions how legitimate this is? If you ask me, is Forex trading legit, my answer is yes. But the question is how legit are the practitioners. There are many brokers who try to capitalize on the opportunity. The legal formalities are not very strict in this case. As a result, the chance of a scam is fairly easy. In fact, currently, scams are one of the biggest concerns in this space. Almost everyone associated with forex trading will express their concern about it. The primary trigger is the relative novelty of this type of trading. So you have many forex brokers trying to take advantage. Forex trading can be really profitable if you follow the legitimate way. It functions pretty much like a stock market. You need to have a clear forex strategy, goal and choose relevant counters. You will never gain overnight. The returns in forex trading are exactly like stock markets. A slow and steady approach will help you garner maximum profit. It is important to understand some striking forex realities. It is important because in anyways it shows why forex trading is susceptible to scams. Today the average daily turnover in forex trading is close to $1 trillion. Currency futures and options have further increased the size of the market. It has also made the forex market extremely lucrative. On any day, you might have another 1 trillion dollar changing hands through these contracts. According to a 2009 report, international settlements totaled over $3 trillion. The number can, therefore, be even higher today almost a decade later. So, you can well estimate the kind of money that is floating around. Needless to mention, this is what makes forex trading susceptible to scams. To add to the party, the forex spot market is primarily unregulated. So they can only add more fuel to anyone’s interest in making some quick bucks. However, the good news is the Commodity Futures Trading Commission has played a constructive role. Another self-regulatory authority, National Futures Association came into being in 1982. Together they have constantly been working towards weeding out these irritants. That said forex market scams are still a striking reality. What Is a Scam in Forex Trading? So the basic question that will bother you is what is the scam in it? Forex trading is legal, the brokers are legit so how do scammers operate? For that, let us understand what exactly comprises a scam. A scam is effectively any type of deception to fleece you of money. When a person is duped, and money is taken away without their knowledge, it is a scam. But this is not the same as a poorly managed firm. A firm can be poorly managed, but it may not be a scam. But you can also have an extremely well-managed scam. The problems is non-regulated brokers. Though forex trading has been popular since 1999, the relative regulation is poor. Initially, you had a huge number of brokers who opened up overnight shops. Especially in countries where it is non-regulated, this created a major problem. However, the environment is sanitized a lot more now. The instances of these scams are reducing with the passage of time. You will notice a majority of forex brokers are now acquired by financial institutions. Global currencies are also better synced at the moment. With the backing of reputed banks and institution, forex trading is a lot safer. So, the chances of hoodwinking are relatively much lesser in the current situation. 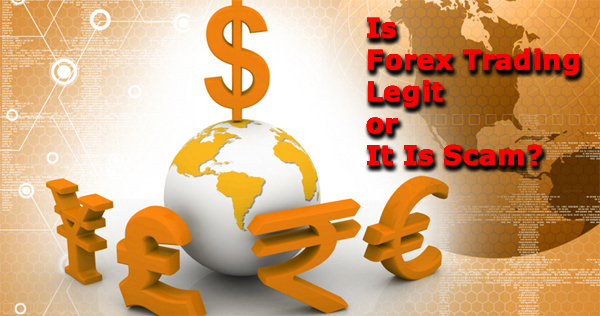 When you are exploring scams in forex trading, there are many popular variants. Manipulation of bid/ask rates on the computer has to be one of the oldest. Normally the spread is the extent of profit a broker earns. So they are different for every currency pair. The factors governing the currency rate also impacts the spread. But brokers often use this spread for their convenience. Let’s say the spread in Dollar-Euro pair is 7 pips. But the broker offers only 3 pips to the customers. So they stand to gain the additional 4 pips. While just on its own, it may not be huge. Think of the trade that is undertaken every day. On a base close to $1 million, this amount can be rather huge. So your profit is taken up as a commission by the forex broker. But a wider internet access and stringent measures in past 10 years impacted these favorably. It has reduced to a large extent. However, it will be wrong to say that they have disappeared completely. The signal seller is a relatively more popular modern scam. They use only one weapon to get to their target, capitalizing on human greed. Imagine when a forex trader hears about instant gains or huge gains. Almost inevitably most will fall into this trap. Most times, retail investors are pretty naïve in this matter. If someone approaches them with recommendations to become wealthy, they fall for it. To make matters worse, most of the touts involved in the scam have years of experience. It is needless to mention that it has just worsened the situation. They have sufficient resources even to get people to testify on their behalf. They will convince the unsuspecting trader about their prowess and command on the market. The result, the unsuspecting trader hands over a certain sum of money. Most simply disappear after they collect the money. Some throw in a few recommendations too. But there is no guarantee about who and how they were created. Neither is there any guarantee on how effective they will be. But then, not all signal sellers are involved in scams. There are many who offer genuine and worthwhile advice. The trick is identifying the right candidate. This is perhaps one of the latest avatars of forex trading scams: Do Automated Forex Trading Software or Robots Work? The principle essentially is same. It is all about working towards extracting undue benefit from the system. Now, most systems can generate automated trade today. This is also known as robot trade. They help you earn a lot of money while you are asleep. This is because the forex markets are working 24×7. But the issue is these systems need to be verified and tested. In the absence of proper verification, they can generate random numbers. So effectively, you are then gambling in unknown territory. So before you integrate such a system, it is important to verify. Also, make sure you verify with third-party voices. They will tend to churn a more realistic result. Otherwise, you are again saddled with an untested system backed by touts trying to sell it. You have to make sure that the system you choose is legitimate. Make sure if forex trading is legit using these pre-programmed systems. Also, the way you place orders with your forex broker needs scrutiny. Many times, many silent scams origin from these too. We’ve already talked about the scam Forex brokers a lot on this site. So there is no point to focus on them here. What you have to keep in mind is that retail Forex brokers are not your friends and they don’t want you to make money consistently. It is quite interesting to note that most forex trading scams originate from ignorance. Almost inevitably, they are banking heavily on how little the traders know. For example, the trading systems have traditionally been considered expensive. Till a few years ago, no one will bat an eyelid if you quoted $5000 for one. Now, this is a big scam in itself. Ideally, traders should not be paying anything more than some hundred dollars. A proper forex trading system costs a few hundred dollars on an average. So if you get an offer for a really pricey system, think twice. Chances are that it is a major scam in the making. Perhaps you should listen to the commentary carefully. Do they promise unprecedented gains? Do they promise instant results? The chances then are you are being prepped to be duped. The reality is that the forex market is not a magical paradise. Neither are you George Soros to land with a mega deal. Slow and steady gains are at best the most practical expectation. But that said, there are many genuine trading system sellers. You can use these for reasonable income over a point if time. So the only way you can avoid these scams is by staying alert. It is never wise to fall for promises of instant gains. That is by far the easiest trap. Also keep in mind that trading systems are not magic bullets. They don’t work under any conditions. If you ask me is forex trading legit, I will agree. But the point is that does not mean that you trust your broker blindly. It is always wise to question every additional penny that you part with. That brings to limelight the other common type of forex trading scams. In technical terms, it is referred to as the commingling of funds. Individual traders cannot track their exact investment without segregated accounts. As a result, retail firms often misuse this opportunity. They use the funds to pay huge salaries to their employees. This includes large bonus, cars, houses and what not. Some are even less sophisticated. They conveniently disappear with the additional customer money. However, the Commodity Futures Modernization Act of 2000 played a crucial role. They created some stringent measures to segregate brokerage accounts. This empowers clients to opt out of strategies where they are not comfortable. However, this Act does not have a global bearing. So, if you plan to undertake forex trading elsewhere, read the regulation. Be very clear about what or how you are getting into before committing cash. That will make sure that you are making an informed choice. Additionally, you can easily identify doubtful transactions instantly. If you want to capitalize on legit opportunities in forex trading, be alert. You must watch out for warning signs for any potential scams in the making. If you see brokers not allowing withdrawals from investor accounts, it is a sure sign of trouble. Are you constantly facing problems with your trading station? Are there too many trade glitches lately? Check if you can access your accounts before or during an economic announcement. Remember these are the times when the forex market is susceptible. There can be massive pip movement in a short time. Inevitably the volatility increases too. Forex trading is often about capitalizing on these opportunities. If you are not able to capitalize on these, there is surely trouble in heaven. Don’t be buoyed by promises about great returns. You are the best judge of your interest. Does the brokerage satisfy your liquidity or trading expectations? I will always be wary of too many promotional literature promising huge gains. It is interesting to note that 193 cases were registered by the NFA in 2008. Most of these were pertaining to this type of trading irregularities. While 166 of these cases were resolved in less than 9 months, only 23% received lost funds. So preventive actions are very important for capital preservation. You can never be sure of receiving your lost funds on lodging a complaint. So, it is best to be careful about the ground you step on to. Therefore, a background check is a necessity in every forex trading arrangement. You must be very sure about how your broker operates and what the firm is about. In this context, the Background Affiliation Status Information Center system plays a key role. The best part is the introduction of these measures has deterred many crooks. But the system is not sanitized entirely. However, the temptation of huge profit is very lucrative. It is hard to assess who or how one falls for it. Therefore you need to be careful about the forex trade brokerages. There is never any guarantee of what new type of method they introduce. Don’t wait to get duped. It is always important to take a strategic viewpoint on the promises that are being made. Let’s face it; whether you are into forex trading or stocks, overnight gains are mythical. It is always better to look for steady gains. So always be careful about potential forex broker scams. The question is how you can avoid a scam in forex trading? The first step is checking the authenticity of the broker. Always go for a broker who is a tried and tested name in the investment world. The advantage then is you have enough number of people verifying the authenticity. Check where this brokerage is based from and the response rate. Look for potential complaints against the broker. Has there been any complaint about withdrawing firms? Read the fine prints of the agreement carefully. It is very important to be aware of all the contingencies planned. Pay special attention to the incentives and withdrawals. You must make sure that they are in your favor. Don’t always rely on the size of the brokerage. It may not be such a sure indicator of the broker being genuine. Always maintain steady communication with the broker. If you fail to do that, raise the warning bells. Be stern with your broker and don’t lose focus on your trade. That is the best way to make sure you gain from forex trading. So, Is Forex Trading Legit or It Is Scam? Fortunately, regulations have increased significantly in the past decade. As a result, the business environment has also improved. Another development is the cost ratio for starting a forex trading firm. As a result of these new and enhanced rules, it has become relatively expensive. This is a big dampener for many fly by night operators keen to scam people. But the ground rule is quite simple. Whenever you are choosing a broker, you need to check their details. Look at how long the firm is doing business? The promoters and the key operators’ list is also very important. Also, pay attention to the average number of subscribers. In case you feel you have been scammed despite this, contact the authorities. Every country has a designated regulating authority. They look after all forex trading policies and potential breach. In fact, the interesting fact is most of the forex market regulation were formed that way. Forex trading has never been structured. Based on the user complaints, authorities have been continuously altering it. So the fundamental fact is forex trading is indeed legitimate. But you have to be cautious about scams. So don’t question is forex trading legit, instead check if the broker is legit.